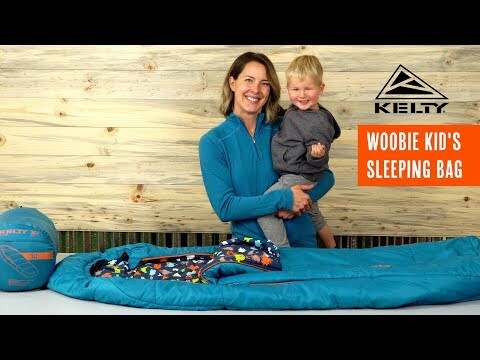 It’s no fun trying to stuff your sleeping child like a burrito into a sleeping bag. That’s why we made the easy-zip up Woobie. The search for the holy grail of little kids sleeping bags is over. The feature-packed Woobie keeps the little ones cozy in the great outdoors – and indoors too. It’s the perfect starter bag for toddlers and younger children up to 4' tall. Double top zippers provide the wiggle room and ease to gently slide them in without a wink or whimper.